Google’s Rishi Chandra took to the stage during Google's I/O keynote to talk about incoming features for Google Home. After announcing that some great music services will be coming to the smart speaker — including Spotify, Deezer, and SoundCloud — he also dropped the news that support for streaming over Bluetooth was incoming. 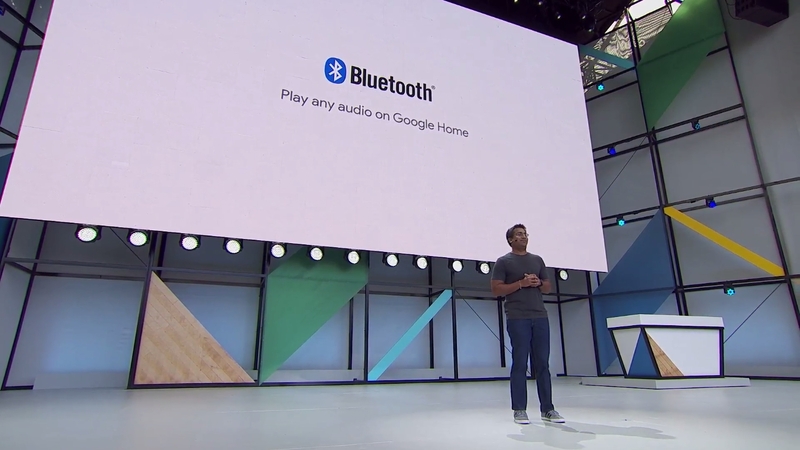 This will apply to all existing Google Home devices and will allow you to play anything you want from any device that supports Bluetooth. This takes us from the fairly limited music offering that came before to being able to play almost anything through the device. If you'd been reluctant to use Google Home as a proper audio speaker before, this might well change things. Google's I/O keynote is still happening right now, and we'll be bringing you anything interesting as it comes in.